The FOR Environmental Committee's fourth 2018 public education program was held on Sat Aug 11th at the FOR Community Center. Twenty-five interested gardeners attended. 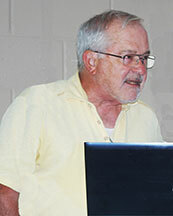 Next program scheduled is the "Birds of the Bernard & More" on Sat Sep 15th, 10 am - noon. Public invited. FREE! 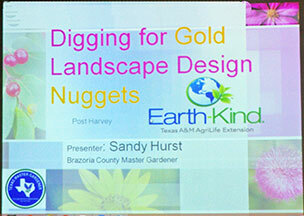 To create a beautiful successful garden and landscape, Brazoria County Master Gardener & Earth-Kind® Landscape Specialist Sandy Hurst suggested preplanning on paper, soil preparation, plant selection, maintenance and mulching. 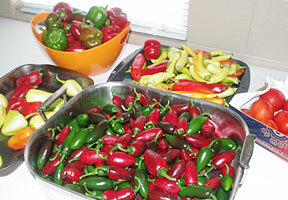 Using “Texas Super Stars” plant selection will give good results. 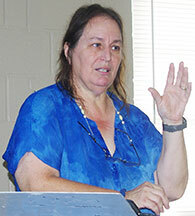 A local source for native plants is the Gulf Coast Bird Observatory on 299 West Hwy 332, Lake Jackson. Plants are located in the fenced area behind the main building. 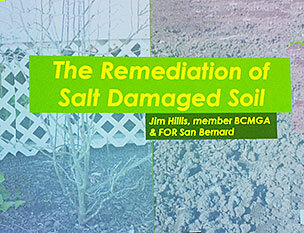 Brazoria County Master Gardner Jim Hillis uses gypsum and epsom salt as the key ingredients to improve damaged soil impacted by flooding or watering with saline well water. 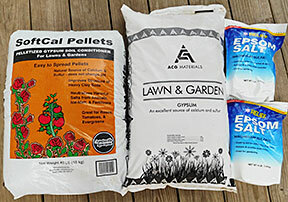 Adding gypsum removes sodium in soil and replaces it with calcium and sulfur, which help boost plant growth. Applying epsom salt (magnesium sulfate) to plants with yellow and dull looking leaves, which often means the plant is lacking the necessary nutrients magnesium or sulfur, helps speed up plant growth, increase a plants nutrient uptake, increase flavor of fruit and veggies, plus increase the output of vegetation and improve overall plant health. 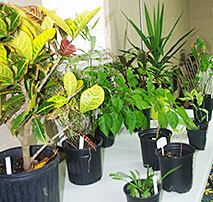 Door prizes were plentiful at the gardening program. Two lucky winners each won a bag of gypsum and epsom salt. Ten winners went home with a Texas Super Star plant and ripe and ready vegetables were there for the picking by attendees. It was a great program!